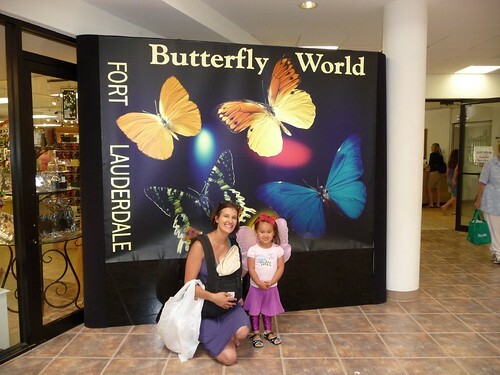 Mali Mish – Day 56: Del Boca Vista, Butterfly World and the Easter Bunny. 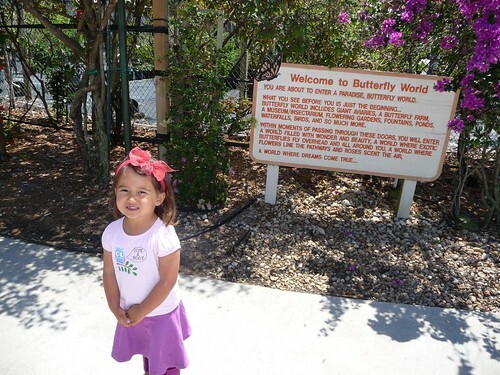 Day 56: Del Boca Vista, Butterfly World and the Easter Bunny. We left Larry and Penny Thompson Park this morning to continue on to the next phase of our trip. Even though we planned on heading down to the Keys, we are actually headed north for the next 2 days to stay at our friend Paul’s house in Boca Raton. If you have been following our trip, you might remember Paul and his family when they met us at Sanibel island a couple of weeks ago. He is letting us park the van and Mali Mish on his driveway when we fly back to California for 10 days to attend Easter and other family events. 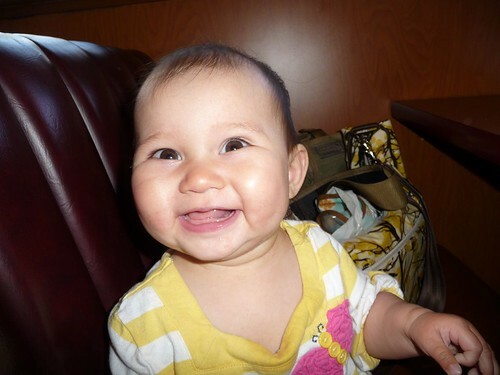 Why do you think Mila is so happy? Because we are getting the good ol’ Original Grand Slam at the Denny’s restaurant down the street from the park. We got a little addicted to the fluffy pancakes they serve up at the one by our house in Ventura. For some reason, the Denny’s in Florida haven’t really lived up to our expectations. They are spongier and chewier as compared to the melt-in-your-mouth hot cakes we are use to at home. Also the $3.99 price that has been the trend-setting breakfast value is now inflated by 50% to $5.99. Well, we ate them up anyways. My GPS is set to avoid toll roads by default so it originally told me to drive along the Dixie highway. Having been on that road 2 other times, I know it is just a stop-and-go nightmare. 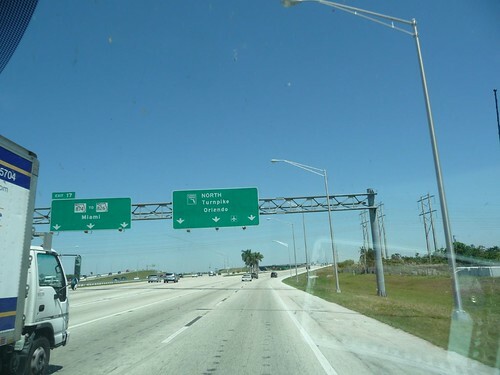 I thought today we would just splurge a little and try our the Florida Turnpike. I mean, it can’t be that expensive. right? Wrong. The Florida Turnpike is a giant rip off for if you are towing trailers. First of all, it seems like every 10 miles there is a toll plaza. For a standard car, truck or van like I have, it is only $1. The rip off is what they charge for the trailer. They want you to pay a extra dollar for every additional axle on your trailer. So for us, every time we hit a toll plaza, we had to shell out 3 bucks. After we hit our second one in 15 miles, I asked the toll booth operator how many more of these should I expect in the next 40 miles. She told me that there will be another 4 or 5 more!!! That would bring the total cost of the tolls to be a ridiculous $21 for a 50 mile ride. Ouch. We promptly got off of the Turnpike and opted for the highways and interstates. If you were not a TV junkie in the 1990s, you might not catch the Del Boca Vista reference in the title of this post. It is the the home of a retiree Helen. Husband to Morty, sister to Leo and mother to Jerry who works as a stand up comic in Manhattan and lives across the hall from his neighbor and friend Cosmo Kramer. That’s right, Del Boca Vista is the fictional town in Florida where Jerry Seinfeld’s fictional parents retired to. Although it never stated officially, many fans believe Boca Raton is the inspiration for Del Boca Vista. Boca Raton in reality is more a resort town than a retirement town. It is full of gated communities, golf courses and gorgeous beaches. 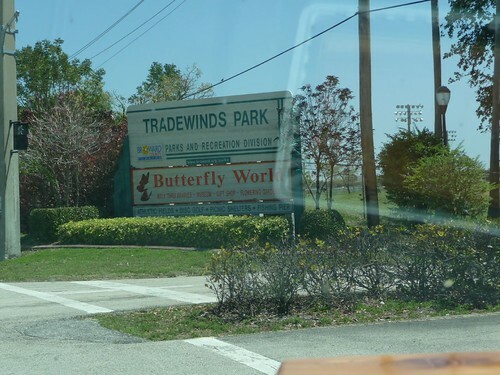 Our first stop as we pulled into town is another county park with an interesting attraction called Butterfly World. 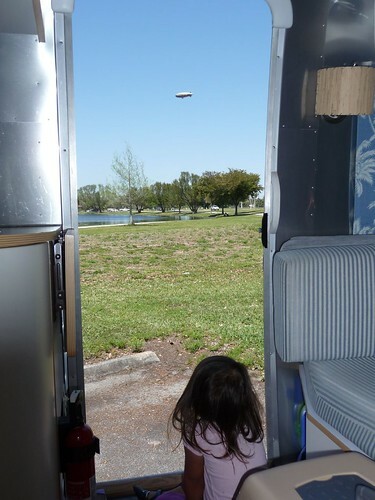 We took up the usual 5 park spaces in the busy lot and saw the Goodyear blimp flying right outside of our door. Near Marlene’s parents house in California, where we will be staying for 10 days starting the Friday before Easter, there is another Goodyear blimp that does daily fly-bys of the area. Seeing this here got Ava even more excited about our upcoming trip back to California at the end of the week. 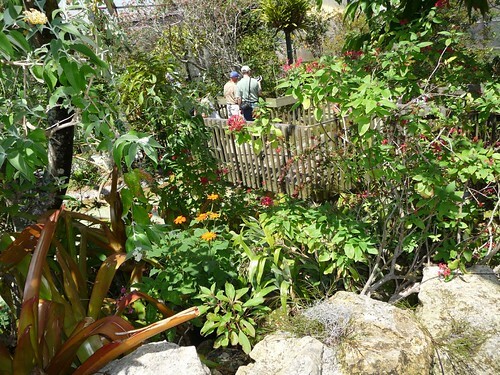 Butterfly World is an interesting place and also tauted to have one of the biggest hummingbird aviaries in the country. One of the biggest caveats of this attraction is the entry fee. Adults cost a whopping $25 and children 3 and over have to shell out $20 a kid. That to us is pretty outrageously priced. Considering that the Miami Metro Zoo was only $18 per adult and it had much more too see and probably cost a lot more to maintain. In any case, since I had to do some work in the Airstream, Marlene sucked it up and paid to bring the girls in herself to see what it’s all about. 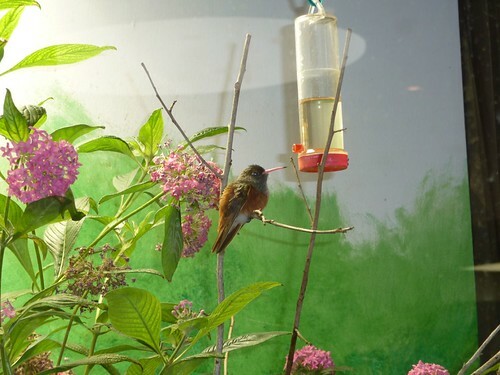 Marlene had high expectations for the hummingbird aviary since it is one of her favorite birds. 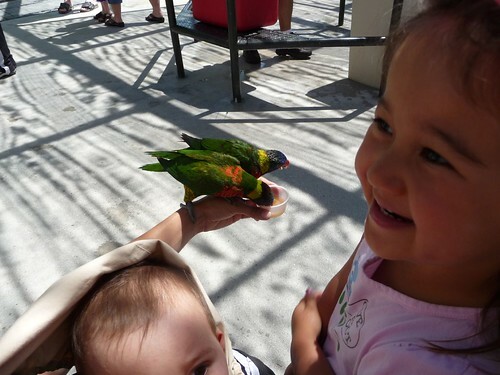 Before we had kids, Marlene rehabilitated injured birds for a local non-profit wildlife organization. Specifically, she raised a lot of hummingbirds as they fell out of nests starting with baby Herman. The aviary here did not live up to the hype. 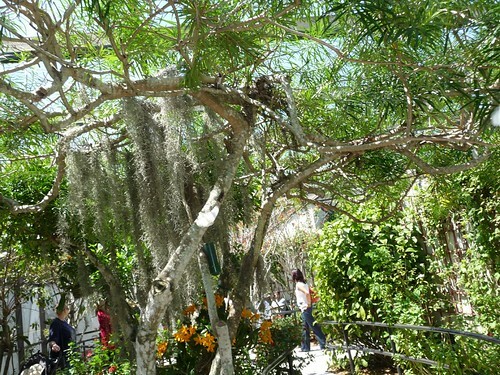 If you want to see a nice hummingbird aviary, our favorite is still the Arizona-Sonora Desert Museum located in Tucson, Arizona. 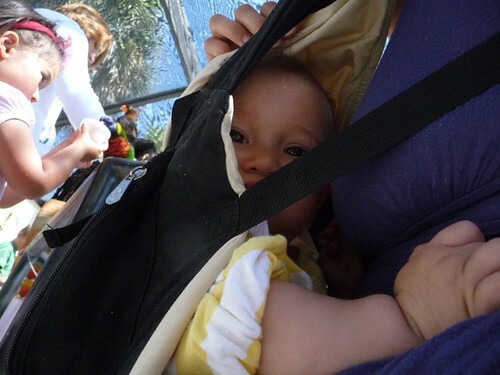 Ava was actually much more afraid of all of the butterflies in the park than we thought she would be. It is hard to tell in the photos but there are tons of butterflies flying all around you and landing on you. 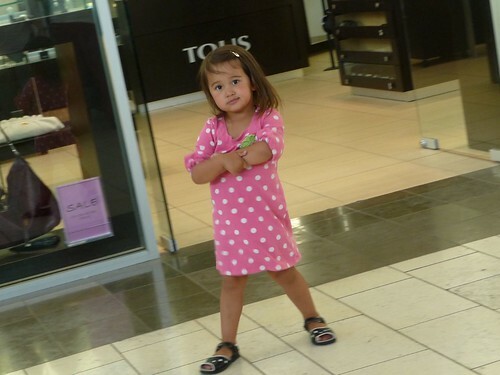 After all, butterflies are still bugs and Ava is not a fan of bugs. Even if it has big, colorful wings. 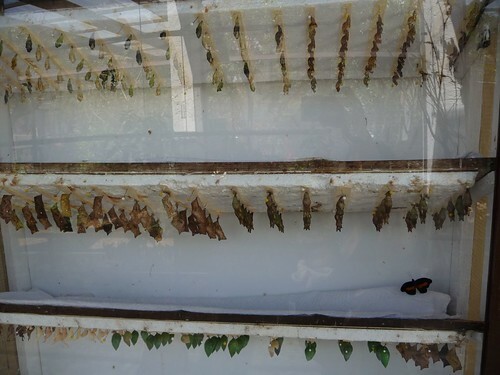 All of the butterflies here are cultivated and harvested on site using these types of enclosures. 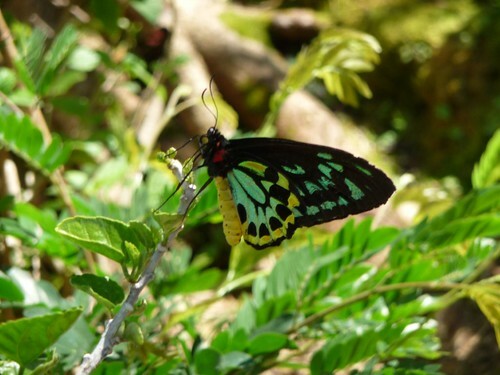 The founder of Butterfly World is a Dutch immigrant named Ronald Boender with a fascination with butterflies. Since moving to Florida in the 1960’s, he has always farmed butterflies as a hobby. In the 1980’s he noticed a phenomenon going on in England of people opening what are called ‘Butterfly Houses’. 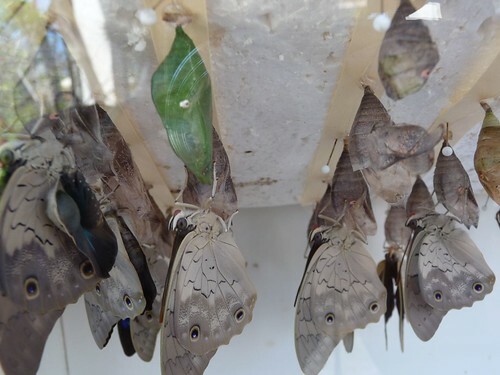 After a trip across the pond to investigate what it is all about, he returned with the goal of building his very own ‘Butterfly House’ right here in America. Almost exactly 22 years ago to the date of our visit, on March 28th 1988, Butterfly World opened to the public. 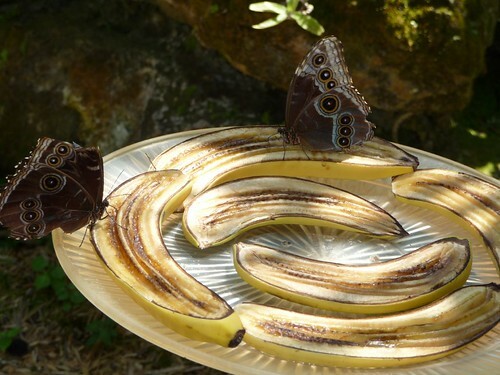 One of the biggest contribution Boender has made through Butterfly World is the preservation of various endangered species like the Schaus Swallowtail. Partially due to Boender’s work, they are starting to re-establish in South Florida and may even be taken off of the endangered species list in the near future. 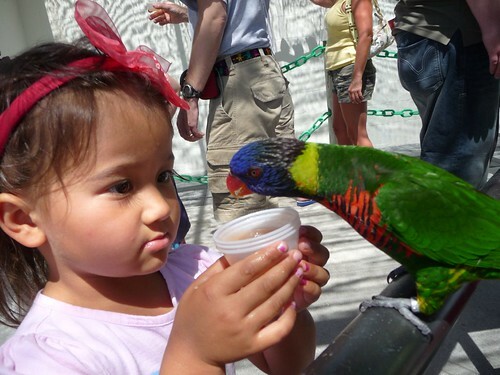 Aside from butterflies and hummingbirds, there are also lots of lorikeets that you can feed at Butterfly World. At the beginning of our trip, we visited another lorikeet aviary and Ava really enjoyed feeding them at the Rooster Cogburn Ostrich Ranch in Picacho, Arizona. The lorikeets here get a lot more visitors than their cousins in Arizona so all they seemed to do is poop on to the visitors by the afternoon. By the time we got there, they really had no interest in eating nectar anymore. After a long day of work feeding lorikeets and running away from a room full of flying bugs, Marlene felt Ava had earned a well deserved snack. 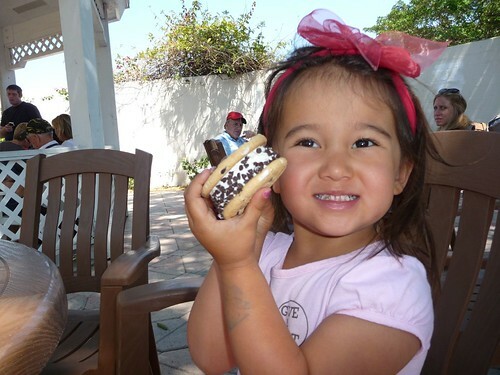 And what better to get her than her current ice cream snack of choice, “Hamburger Ice Cream”! Look what Marlene got to take home with her from butterfly world. 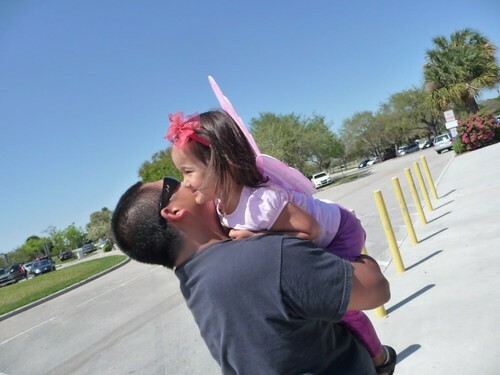 Ava the butterfly! Those butterfly wings have so much glitter on them that we all ended up looking like we’ve been sprinkled with fairy dust. 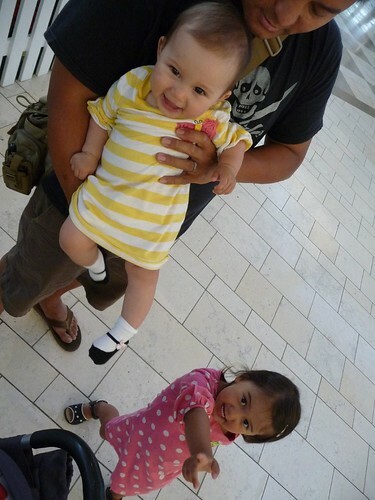 We still had a few more hours to blow before our friend Paul gets home from work so we headed over to the TownCenter Mall in Boca Raton to do some window shopping. Guess which store Marlene wanted to stop by? Surprise, surprise! 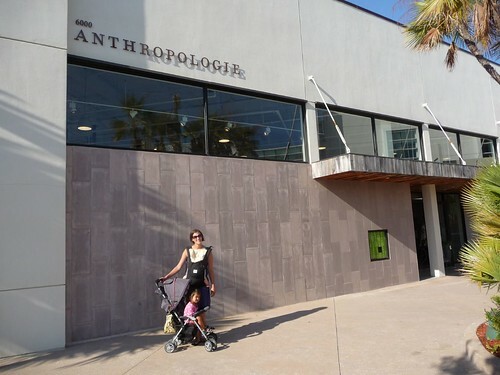 This I think is the 5th Anthropologie store we have visited on this trip. She is definitely not sick of them yet. Inside the mall, Ava here is striking a pose with her favorite ‘Minnie Mouse’ dress as we waited in line to take pictures with the Easter Bunny. We don’t typically like to dress the girls in matching clothes but putting them in ‘complementing clothes’ is perfectly acceptable. Even the Easter Bunny had complementing masks for the girls for being such good picture takers on his lap. Say Cheese! Day 55: Fruit and Spice Park of Miami-Dade County. Day 57: Driveway living in Boca Raton.